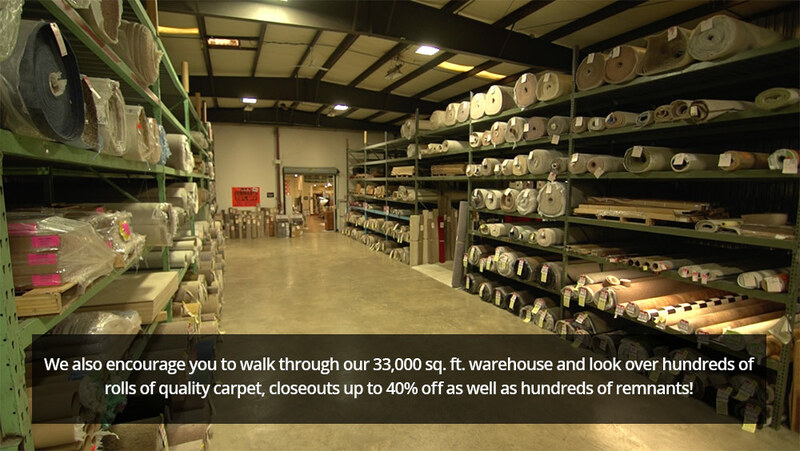 Carpet from Crest Flooring is in stock in our 33,000 sq. ft. warehouse! 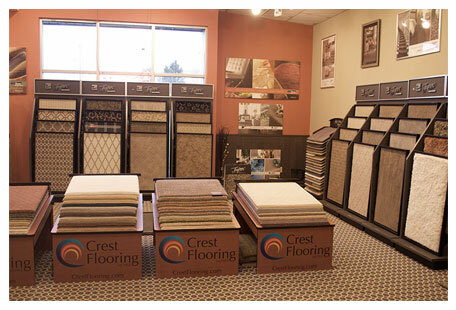 Crest Flooring is proud of the carpet brands we carry. Our main focus is on our Crest Select Program. This program classifies products into Bronze, Silver & Gold. This allows you to find the product that not only fits into your decorating and performance scheme, but allows you to work within your budget as well. Each product is the best in its class. They are guaranteed to be sold at the lowest price. Our professional staff reviews hundreds of products and then selects only those products that offer the best in each class. It’s like having a world champion boxer in every weight class…you won’t go wrong. 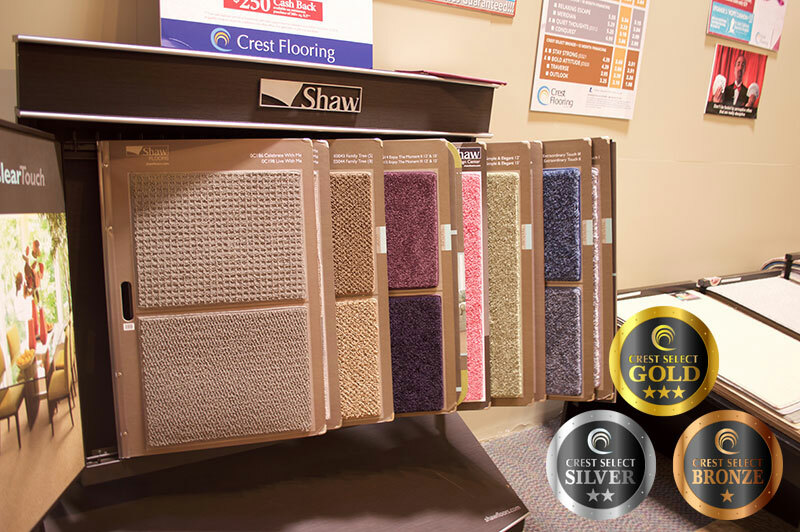 We consider Shaw to be the finest overall carpet manufacturer in the USA and therefore, over 95% of the carpet we offer is manufactured by Shaw Industries. Each year our professional staff reviews hundreds of products made by Shaw. We then select what we consider to be the best products and classify them into our Crest Select Program of Bronze, Silver & Gold categories.